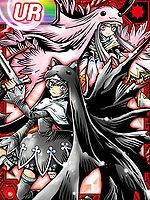 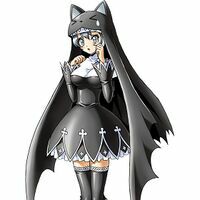 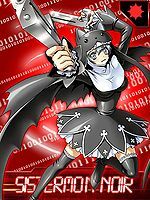 A nun Digimon wearing a klobuk shaped like the head of a black cat, it has a sisterly relationship with Sistermon Blanc. 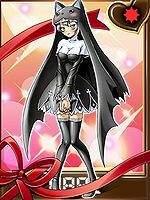 It breaks the ice with its extremely cheerful personality and innocent behavior. 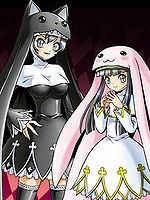 It was charged with Hackmon's care by Gankoomon, and is training Hackmon while accompanying Gankoomon on its journey. 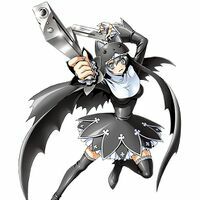 However, Sistermon Noir is working half for training, half for fun, and will point its guns and laugh even while admitting that Hackmon is sad. 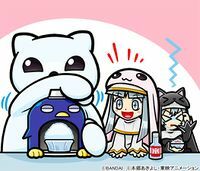 A long time ago, in its previous life, it was out on the streets with its younger sister Blanc, but they were saved by Gankoomon just as they were going to collapse from exhaustion. 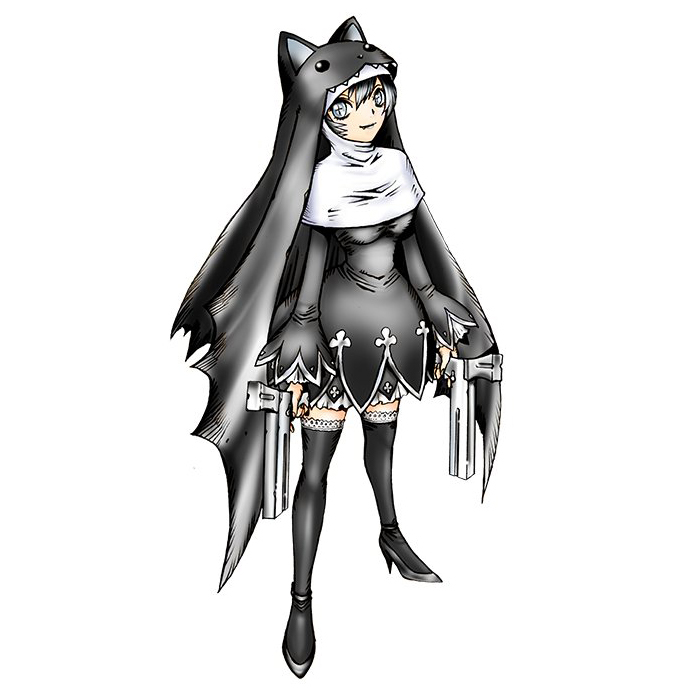 It carries guns called "Anthony" in its hands, and for its Special Moves it has the random firing of its "Mickey Bullet", rapidly firing the bullets from both in a straight line (Bless Fire), and furthermore, its "Grand Sister Cruz" which matches its movements with its younger sister and brings down the opponent. 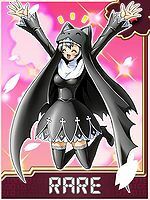 A nun Digimon wearing a klobuk shaped like the head of a black cat, it has a sisterly relationship with Sistermon Blanc. 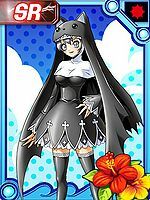 It breaks the ice with its extremely cheerful personality and innocent behavior. 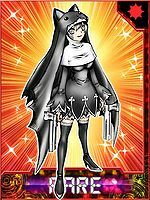 It carries guns called "Anthony" in its hands, and for its Special Moves it has the random firing of its "Mickey Bullet", rapidly firing the bullets from both in a straight line (Bless Fire), and futhermore, its "Grand Sister Cruz" which matches its movements with its younger sister and brings down the opponent. 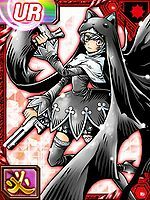 ミッキーバレット Mikkī Baretto Rapidly fires bullets from both Anthony guns at random directions. 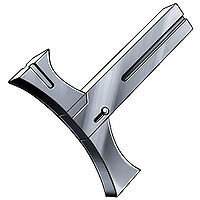 ブレスファイア Buresu Faia Rapidly fires bullets from both Anthony guns in a straight line. 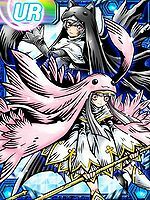 グランドシスタークルス Gurando Shisutā Kurusu Performs a coordinated attack with Sistermon Blanc. 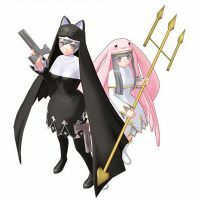 Sistermon Noir and Blanc are NPCs. 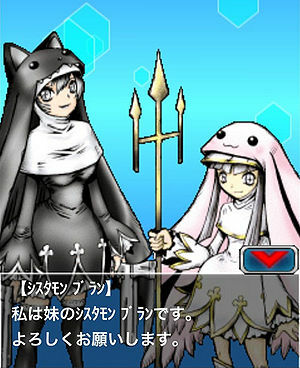 Sistermon Noir is not available in American versions of the game, instead - Noir was censored and replaced with Sistermon Ciel. 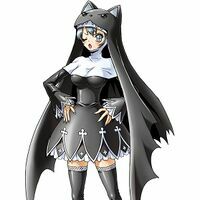 Sistermon Noir is #335 and is a Light Virus type Adult level Digimon who uses 6 memory. Its special attacks are Mickey Bullet and Bless Fire. 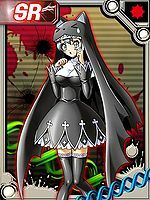 Its support skill is Supervisor which increases experience in battle and lowers the damage taken by 5%. 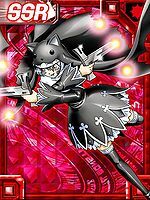 Noir can evolve from Sistermon Blanc, Lunamon, and Dracumon and can evolve to Lady Devimon, Pandamon and Sistermon Noir (Awaken). 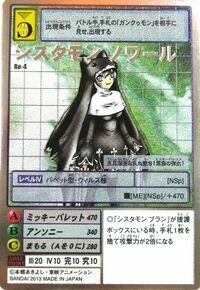 Sistermon Noir appears as an enemy Digimon. 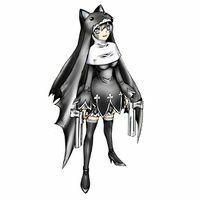 This black cat rapid-fires its bullets with childlike innocence! 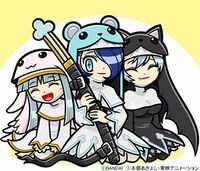 Mickey Bullet! ↑ Sistermon Noir's initial artwork was illustrated by Himeno Kagemaru. 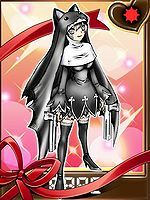 This page was last modified on 28 December 2018, at 13:46.